A new snippet as a congratulations from Cassie for 2nd place in the MTV movie brawl. The Hunger Games fandom: Congrats, you are awesome! 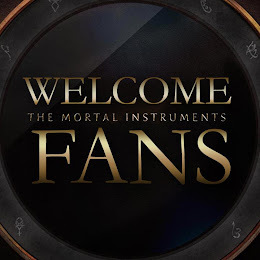 TMI/TiD fandom: Congrats as well, you are also awesome! Of course, I love you, and am biased, but I think in this case, bias is okay. It is so fantastic that you guys made it to the final round of the MTV movie brawl; I mean you beat Man of Steel and Iron Man 3 and Stark Trek: Into Darkness, and that is like, amazing. You should be crazy proud for coming in second. I mean, what came in second last year? The Hunger Games. That is, actually, a phenomenal accomplishment, doing that well so early. Cecily recoiled; she had many memories of shouting matches with Will, of the china dolls she had owned that he had broken by dropping them out an attic window; but there was also kindness in her memories: the brother who had bandaged up a cut knee, or retied her hair ribbons when they came loose. That kindness was absent from the Will who stood before her now. Her mother had used to cry for the first year or two after Will went; she had said, in Welsh, holding Cecily to her, that they — the Shadowhunters — would “take all the love out of him.” A cold, unloving people, she had told Cecily, who had forbidden her marriage to her husband. What could he want with them, her Will, her little one?